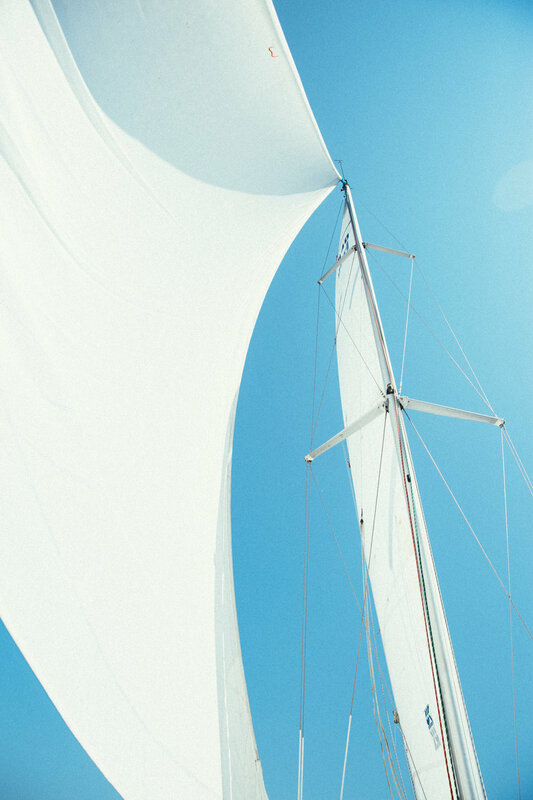 Purchasing a sailboat can be a daunting task. Where do you even begin to start when you live in a land locked state such as Idaho and you have very little sailing experience to even begin to know what you want? I have to give all the credit to Tye here. He has a knack for buying and selling pretty much anything, whether it’s a Felipe Castaneda statue, hospital beds, or a sailboat you better believe he’s done his research and will find the best deal and most likely make a profit. That’s why I trusted him completely in the purchasing of our sailboat. Quality: Our number one criteria for the boat was that it was a sound, well taken care of boat. It had to have good bones - we knew we could add the bells and whistles. Budget: We wanted to stay under or around $50,000 knowing we’d put 10-20% more into upgrades ... and potential expenses on transportation. 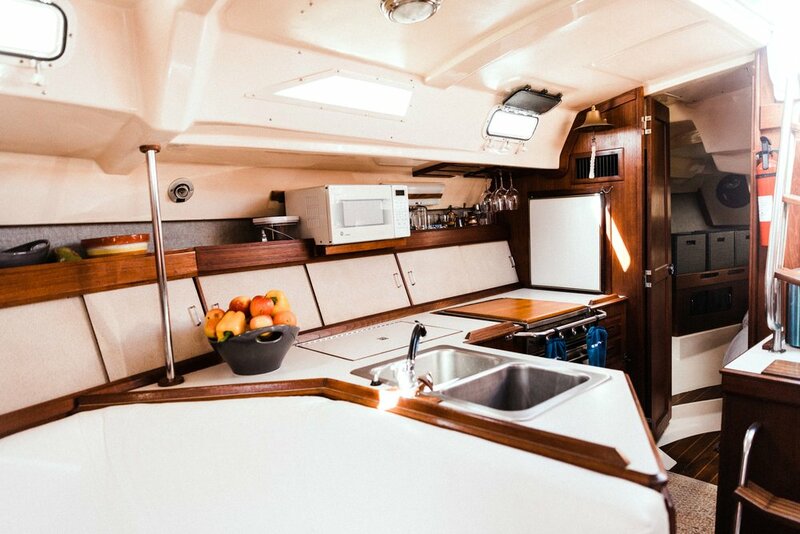 Function: Our primary needs for the boat was island hopping and coastal cruising. We knew we weren’t going to be crossing the Atlantic. Size: It might sound funny but the reason we landed on a 40’ boat was the head room. It was important for Tye to be able to stand upright in the cabin. That meant we probably needed a 35’ or larger boat. Age & Engine Hours: The age of the boat and how many hours the engine had was important to us. We didn’t want to purchase an old, overused boat that needed too much TLC. Layout: Knowing that we were going to be living in a small space for roughly a year or longer led us to search for boats with open concepts with lots of light. I’m obsessed with natural light and pay close attention to it in my living spaces. Speed & Performance: We didn't want an overweight sloth, but something that you could actually get excited about when you sailed it. We ended up finding an 85' Hunter 40 on Lake Texoma in Denison, TX! 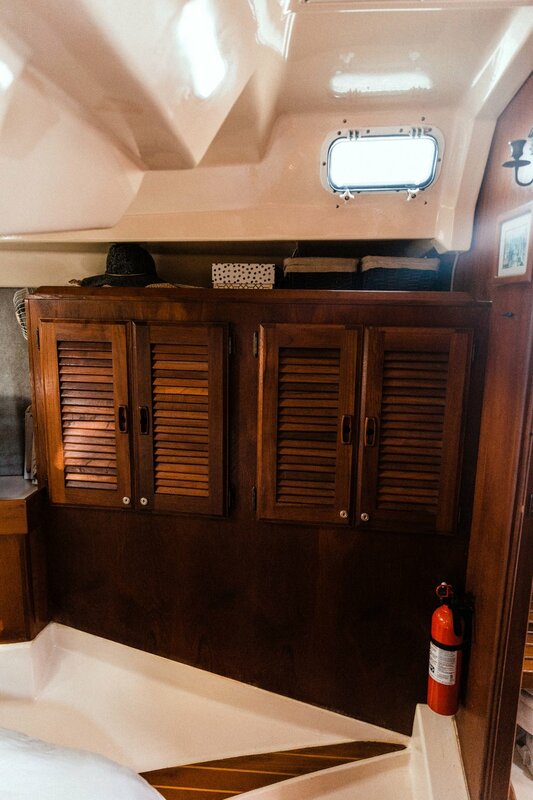 It checked most of the boxes on our criteria list and had an added bonus of being a fresh water boat that had never met the harsh salt water environment. Hunter was also known for making quality boats in the 80's and 90's. 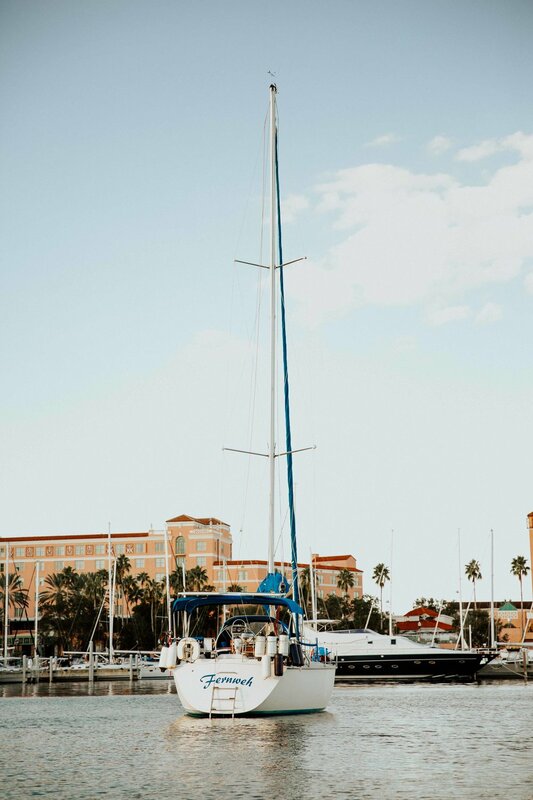 Tye flew down in June of 2017 to view the boat and take it for a sail and came back the proud new owner of a sailboat. I wouldn’t even see it until we moved aboard in September, and I have to give it to him, he did a pretty good job (see photos below). Now the boat didn't come with all of the above but it provided a great start and had a solid foundation which again, was most important to us. You can read about all the specific updates we made to make the boat blue water ready here.